Mangaluru, Jan 22 2018: Irresponsible systematic discharge of untreated domestic and industrial sewage has rampantly and severely polluted the Phalguni (Gurupura) and the Netravathi, which surround Mangaluru, and also affected groundwater quality in the city, allege environmentalists and social activists. 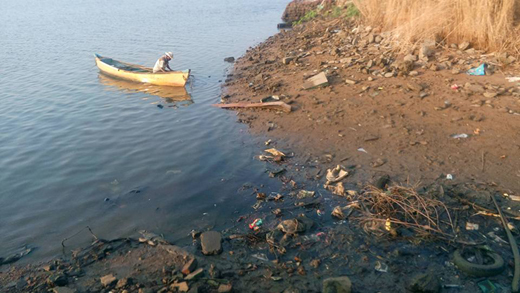 Low levels of oxygen in Phalguni river had resulted in the death of several fish last summer, and the National Environment Care Foundation, Mangaluru, says a graver situation has arisen even before the summer this time around. Very little of domestic sewage is treated and used for industrial purposes as the entire infrastructure created using Asian Development Bank funds under Karnataka Urban Development and Coastal Environment project has crumbled, Shashidhar Shetty, general secretary of the foundation stated. As a result, a major part of the domestic discharge of the city is joining the two rivers through several nallahs, which once were freshwater streams joining these rivers, he said. Dinesh Holla of Sahyadri Sanchaya said denizens appear ignorant about the tragedy waiting to happen when the fragile CRZ ecosystem crumbles. Besides polluting the rivers, the sewage would contaminate the Arabian Sea too, on which thousands of fishermen depend for their livelihood, he said. Sand tragedy : Shetty said unabated sand extraction in the Coastal Regulation Zone of these rivers has deepened the river course. With lesser freshwater flowing into the sea now because of the construction of vented dams upstream the rivers, sewage stagnates in the river course, setting off a chemical reaction, he said. As a result, the groundwater in the city, particularly closer to the rivers, too is getting polluted, Shetty said. Both he and Dinesh Holla bemoaned the apathy of residents as well as people’s representatives on this matter. 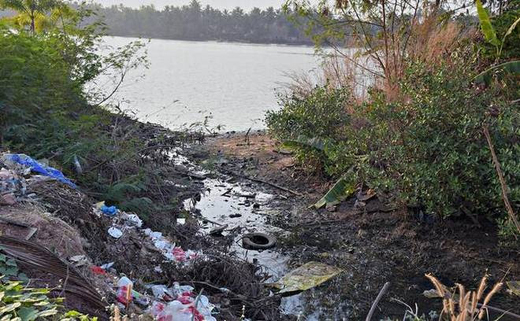 On the other hand, the Thokur stream, flowing through Mangalore Special Economic Zone and Baikampady Industrial Area, is rotting with industrial and domestic waste, said Muneer Katipalla, State president of the Democratic Youth Federation of India. Joining the Phalguni downstream the Malavoor vented dam, the stream discharges quite waste into the river, he said, adding that the riverwater had turned black near Malavoor dam last year. 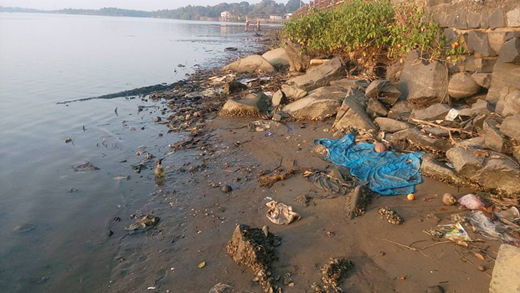 Unless the authorities wake up and take action to contain the flow of waste into the river, the entire coastal ecosystem will be beyond saving, he cautioned.